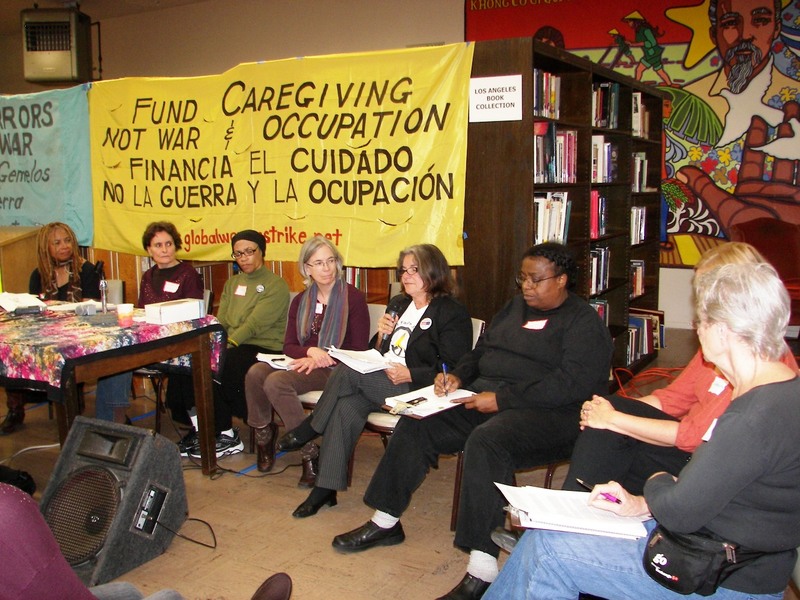 Mothers & other caregivers speak out against child welfare injustices, budget cuts, criminalization and war. 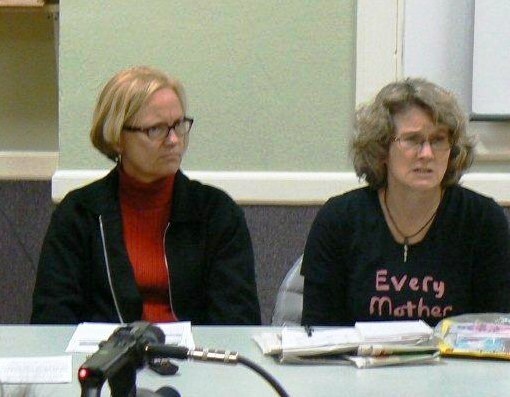 Together they planned joint actions to demand that child “protection”, welfare and other government policies end the trashing of mothers and recognize the value of their caregiving work. 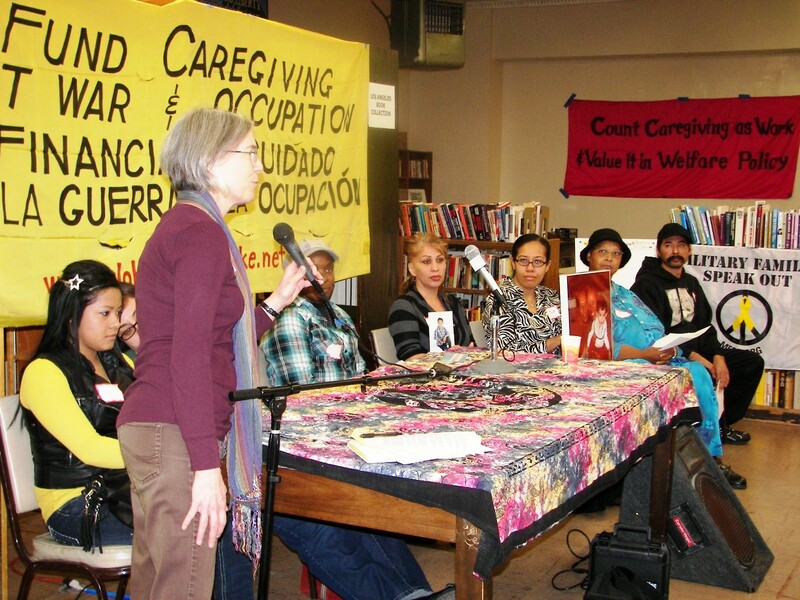 Community Dialogues in Los Angeles, Philadelphia, San Francisco and Santa Cruz in December brought together mothers, other caregivers and activists against poverty and war. Together they planned joint actions to demand that child “protection”, welfare and other government policies end the trashing of mothers and recognize the value of their caregiving work. Pointing out that billions of dollars can always be found for war and bank bailouts, they refused to accept that there is “no money” for even minimal basic needs for mothers and children. The result is that mothers, other carers and entire communities are criminalized, and many low-income children, especially in Black communities, are cruelly and unjustly removed from their families by agencies that equate mothers’ poverty with neglect. The events also launched planning for the second Mothers March Against Poverty and Other Violence called by the Global Women’s Strike. It will take place on March 12 in Guyana, England and other countries, as well as in a number of US cities, to mark International Women’s Day. 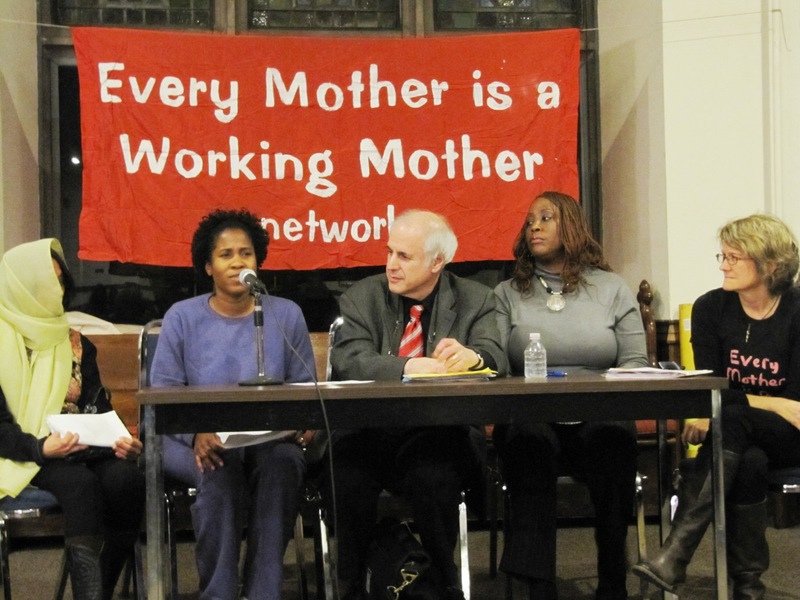 Good news started off the dialogue: because of the activism of two of the sponsoring groups, Every Mother is a Working Mother Network (EMWM) and DHS Give us Back Our children, the number of children entering foster care dropped 10% in Philadelphia County last year (according to PA Partnerships for Children). Guest speaker Richard Wexler, Executive Director, National Coalition for Child Protection Reform, said, “that means that 369 fewer children were subjected to being torn needlessly from everyone they know and love and consigned to the chaos of foster care.” He praised the activist groups’ “energetic” efforts to reduce the rate of child removal but warned that there is still a long way to go. Monica Kaiser, a former foster child, described the devastating consequences for her of DHS policy: losing all connections to her biological family. Pat Albright of EMWM connected the taking of children with the “reform” of welfare and called for an end to all time limits and sanctions as TANF reauthorization moves through Congress. Eric Gjertsen of Payday men’s network spoke of $trillions spent for war while communities suffered, and of the practical support needed for refuseniks — many thousands of women and men in almost every country who refuse to go to war or into the military. Bill Webb spoke on the revolving door of foster care and prison. Parents, former foster children, local and national advocates, social work students and others, also related their experiences. Mothers, grandmothers, and other women gathered at Louden Nelson Center to watch the documentary, and speak out about what they experienced in the child welfare system. The documentary elicited powerful responses, and has been showing on Community TV. Several mothers, Black and white, spoke out about their custody fights, how the courts sided repeatedly with abusive partners, and how their children are still recovering years later. 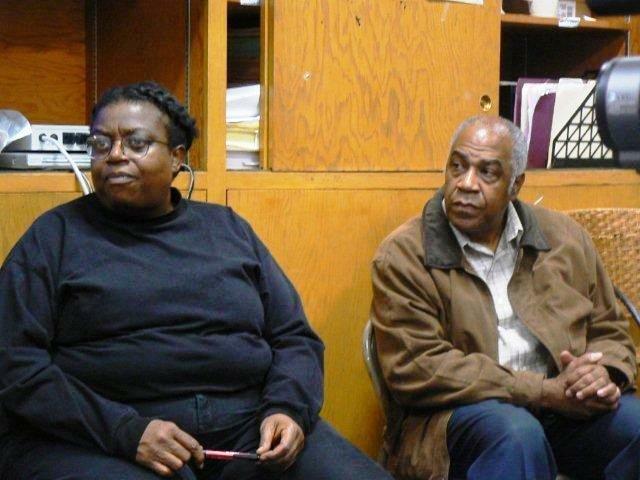 Black grandmothers spoke of their fight with DHS for the right to raise their grandchildren. Santa Cruz has a rate of removal of 23 out of every 1000 impoverished children, which is more than twice the state average, with a disproportionate number of children of color. The group affirmed that children have a right to their mothers, and caring for children needs to be valued. 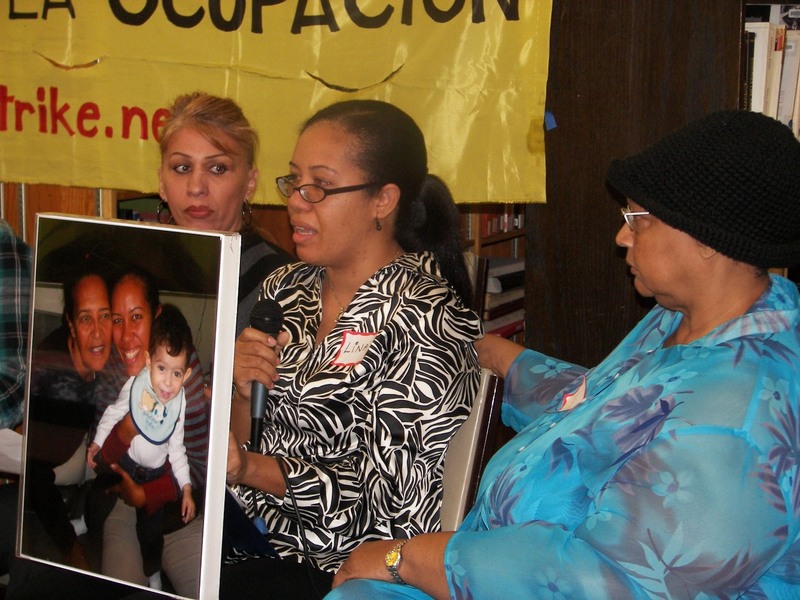 They vowed to participate in the Mothers March 2011 and to support each other when up against the system. A grassroots, multiracial and multigenerational bunch crowded into Poor Magazine’s office for a dialogue focusing on the Criminalization of Survival. Following the film, a broad panel widened the scope, with speaker Pierre Labossière of the Haiti Action Committee relating the kidnapping of children in Haiti by US-based agencies to the separating of families by child welfare services in the US, and how non-profits in both Haiti (which has more non-profits per capita than any other country) and the US are profiteering from women’s and children’s poverty. Rachel West of the US PROStitutes Collective spoke on behalf of women who face losing their children after being arrested for prostitution and other “crimes of poverty” like shoplifting and homelessness, while San Francisco spends over $11 million prosecuting prostitution offenses. Shauna Gunderson told a heart-wrenching and shocking story of brutality by the courts: a judge said he should give her a gun so she could shoot her kids and put them out of their misery. Nell Myhand spoke on the racist bias against Black families in San Francisco where 11% of children are Black but are 70% of children in foster care. A formerly imprisoned Black man in the audience said that the current removal of children harks back to slavery, and that prisons provide a cheap labor force. An audience that was overwhelmingly women of color packed the Southern California Library in South Los Angeles. 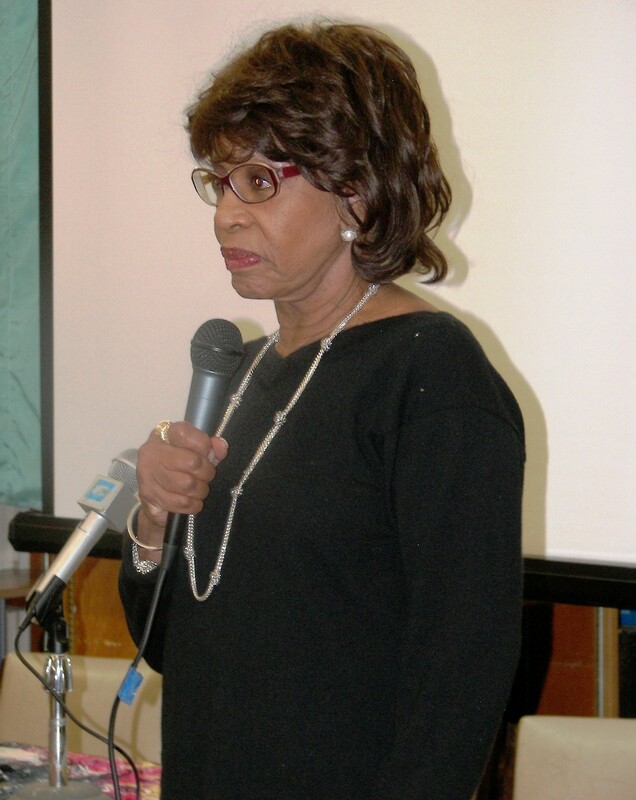 They cheered when Congresswoman Maxine Waters (the only elected official to respond to the invitation) spoke about how moved she was by the documentary, promised to host a screening on Capitol Hill, and agreed with its message: if foster mothers can be paid to take care of children, why can’t the biological mothers be paid to take care of them? (Jazmin Banks, former foster/adoptive mother). Waters also paid homage to leaders of the welfare rights movement of the 1960’s and 70’s, and spoke of the suffering of women in Haiti. On two panels, mothers, fathers, and grandmothers spoke of their struggles with the brutal child welfare and immigration policies that rip children from those who have loved and cared for them all their lives. Black children are 8% of the population in LA, but 34% of those in foster care, while immigrant mothers in detention face losing their children to foster care or even to “fast-track adoption”. An older woman spoke of the devaluing of women’s caregiving over a lifetime. 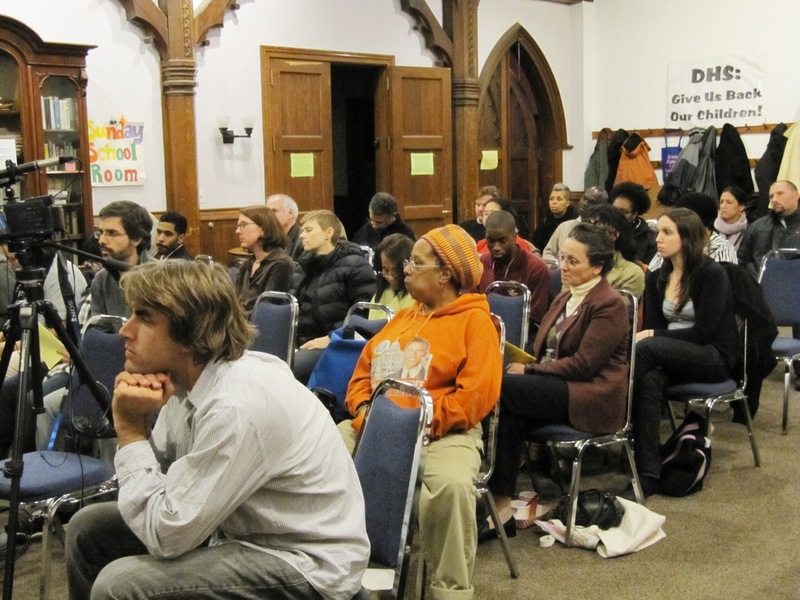 Anti-poverty, anti-criminalization and anti-war activists spoke of the impact on their lives and their communities, of budget cuts and military spending, and the other costs of war – including the high rate of veterans’ suicide, illness and poverty, and the lack of support for those who care for veterans. Among the groups organizing the event, which was chaired by Margaret Prescod of Women of Color in the Global Women’s Strike and Nancy Berlin of California Partnership, were Alexandria House (LA); California Partnership; DCFS Give Us Back Our Children (LA); the Global Women’s Strike and Women of Color in the GWS; Military Families Speak Out (Orange Co), and The LaStraw, Inc. (Greensboro, NC). 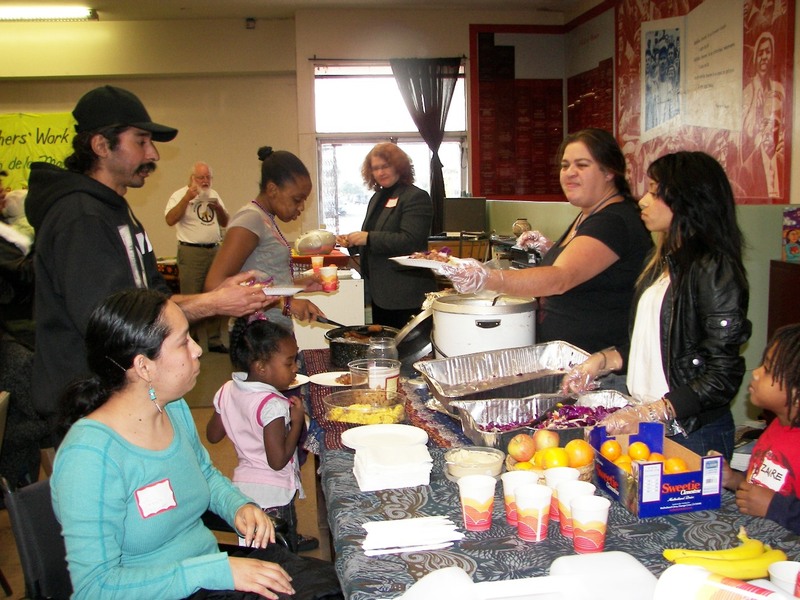 The South Central Farmers and SOL (seasonal, organic, local) cooperatives provided a hot lunch and childcare. For more info see these websites: www.globalwomenstrike.net, www.everymothernetwork.net (where you can purchase the film) and www.refusingtokill.net.